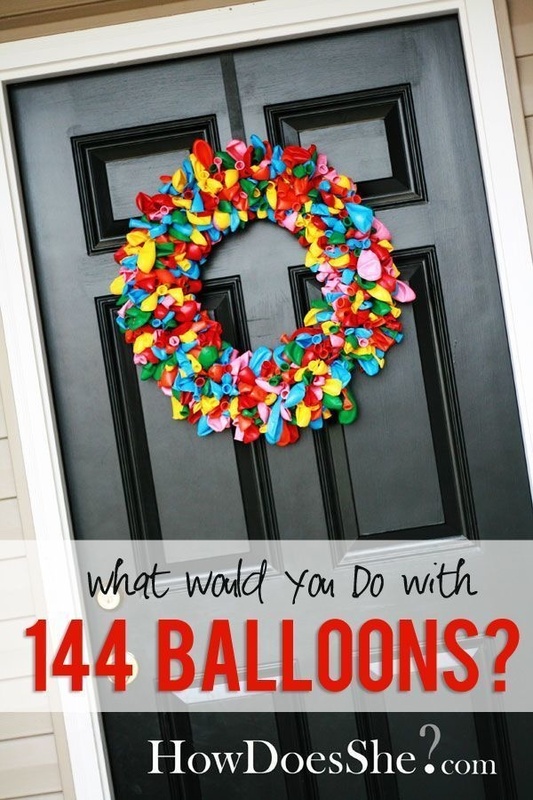 Balloons are a party staple – we hang them up, hand them out, and if we’re feeling especially ambitious, might even spend awhile playing with them. But did you know that balloons also have a variety of other uses, ones that range from crafty to handy to just downright adorable? Below, we’ve collected 26 balloon ideas from around the Internet – we’re thinking #16 might be perfect for your next party. 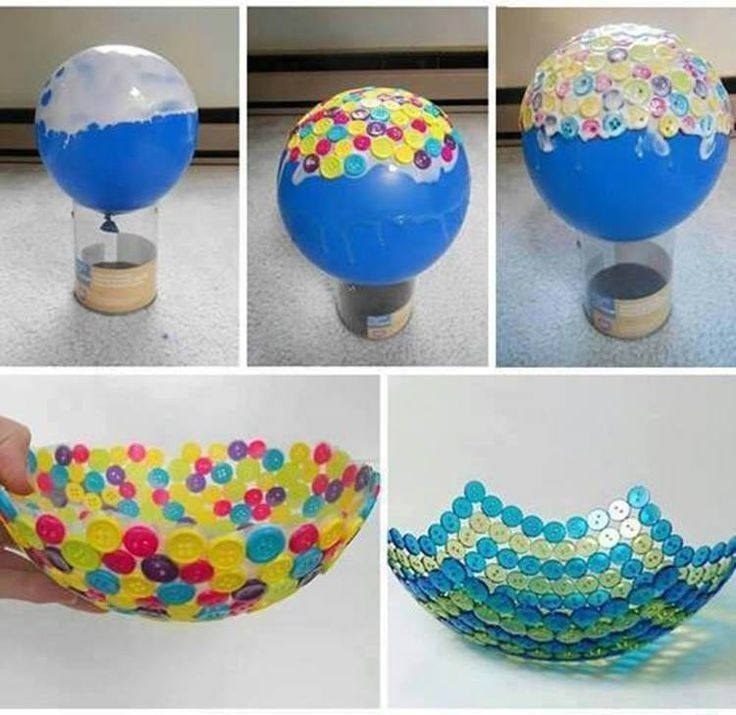 Using a balloon, buttons, and some clear-drying glue, you can create on of these adorable button bowls in now time. 02. Form a cloud from balloons. This cute DIY is a great decoration for a kid’s birthday party, or even a prom. Use a balloon to create this interesting light fixture, made from small branches and glue. 04. Dip balloons in chocolate. This is a creative new way to serve your desserts. The best part? No dishes when you’re finished. 05. Freeze some magical lawn decorations. 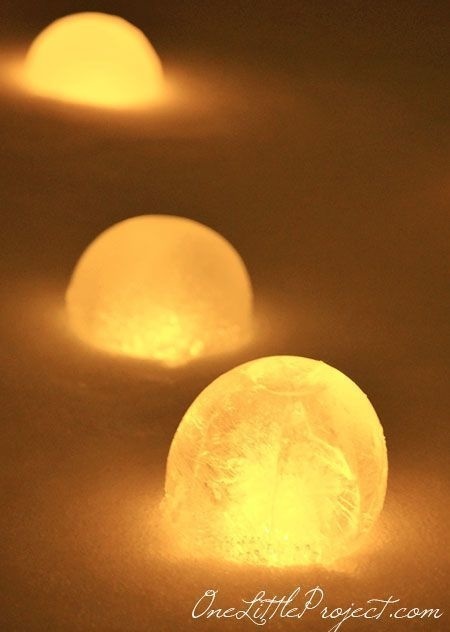 Using balloons, you can create charming ice luminaries for your home, turning your front yard into a winter wonderland. 06. Having a party? Put out balloon-dipped mason jars. This is a creative way to keep everyone’s glasses straight, sans permanent market. 07. Make an artistic magazine bowl. 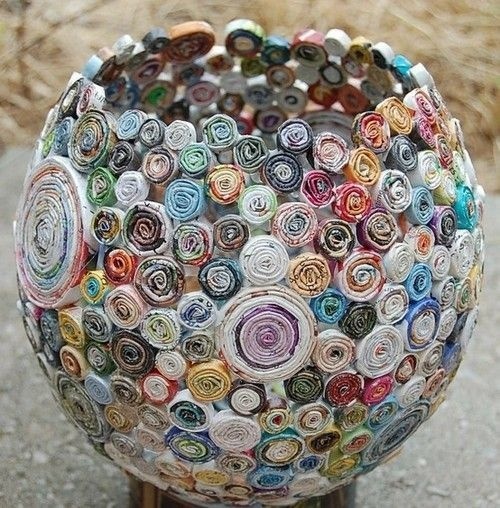 Strips of magazine rolled into coils and a balloon are all it takes to construct this interesting bowl. 08. 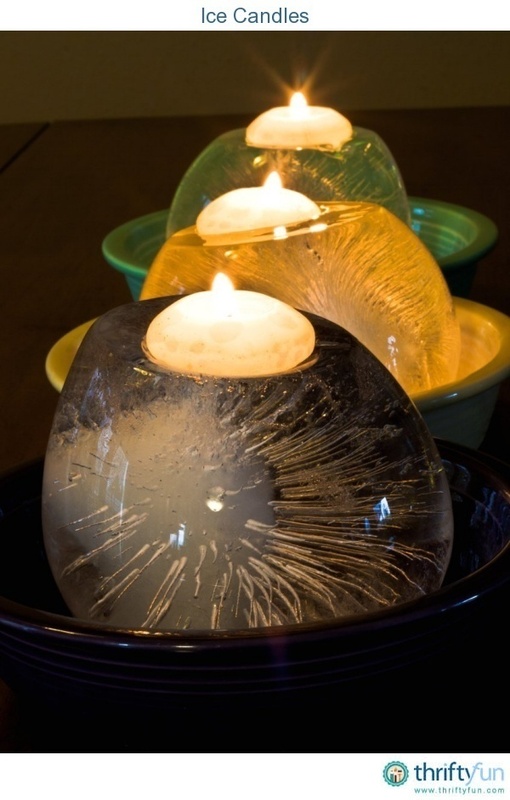 Fill balloons with water and freeze some ice candles. How gorgeous would these look at a winter wedding? 09. 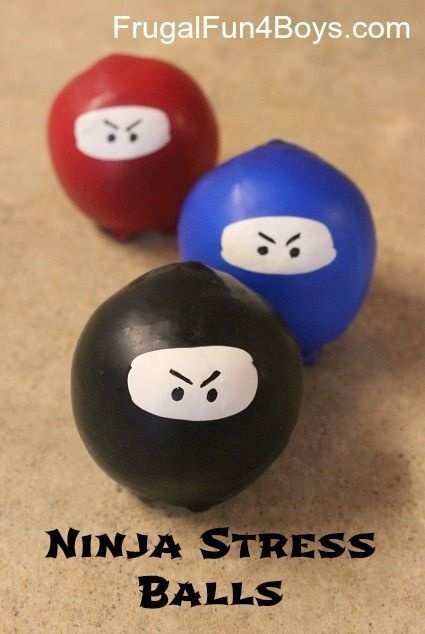 Fill some ninja stress balls. Get your stress out with one of these cheeky ninja stress balls – just paint their faces onto balloons and squeeze. 10. Fashion a mini rainbow balloon arch. This idea is cute, colorful, and you should probably just have one in your home at all times. Add visual interest to your plastic bottle vases with a colorful balloon. 12. Freeze ice gems for your yard. For when your winterized front yard needs a slight upgrade. 13. Create simple, elegant centerpieces. 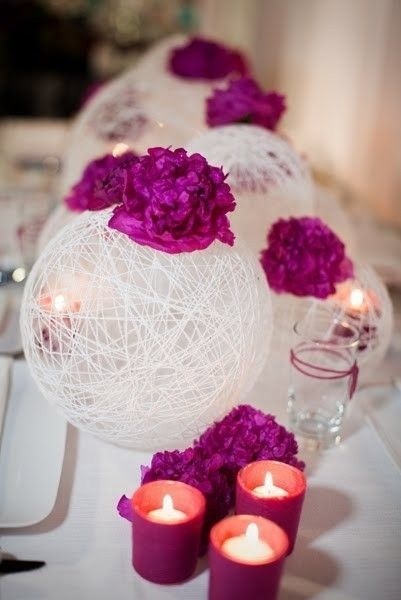 String, adhesive, and a balloon are all you need to make these chic centerpieces for your next dinner party. 14. Use them in your cooler to keep drinks cold. 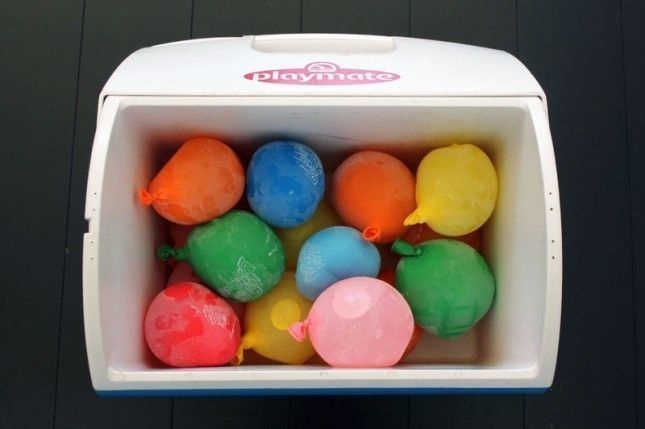 Ice cubes are boring – make your cooler more colorful with balloons instead. 15. 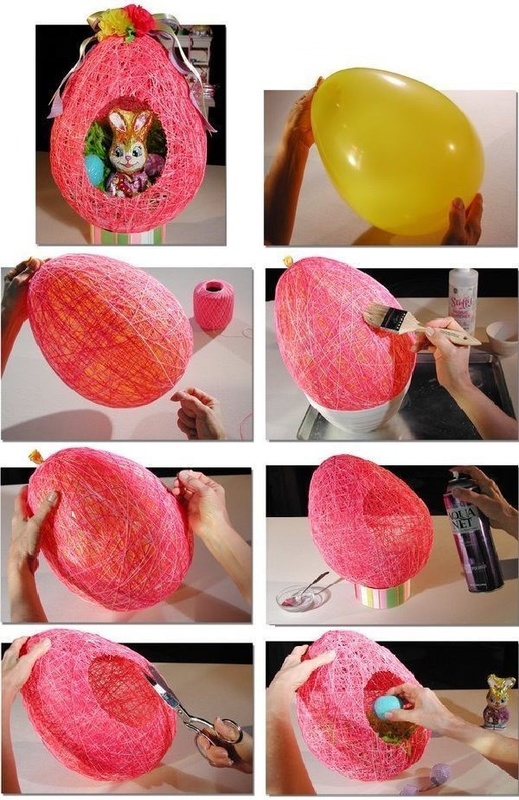 Make an Easter string basket. An adorable take on a traditional Easter basket that’s just begging to be filled up with goodies. 16. Tie up a birthday wreath. This is an awesome wreath that will let every guest know exactly where the party is at. 17. Heat up som DIY candle holders. 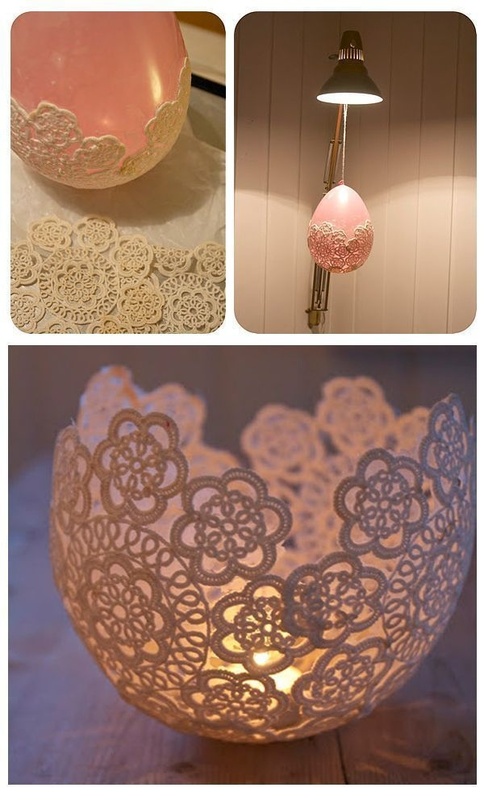 The heat from a lamp helps these doilies firm up around the balloon to create these fancy candle holders. 18. Float water balloon in a pool. 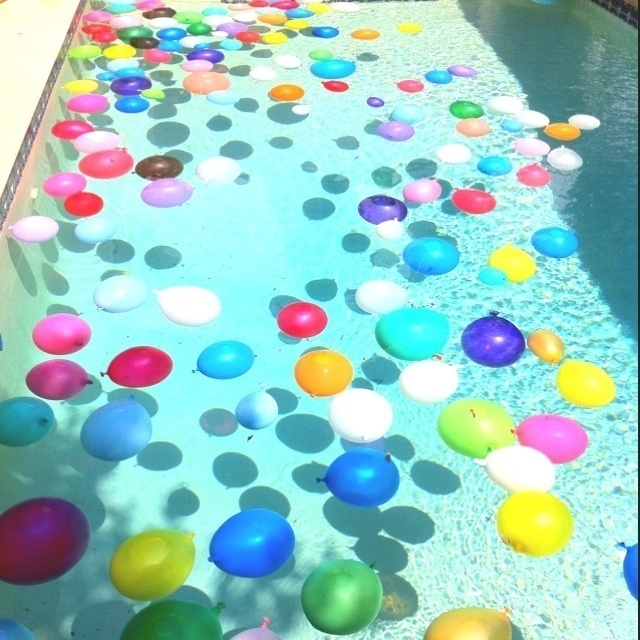 If you’re lucky enough to have an outdoor pool, you’re doing yourself a disservice by not filling it with balloons for your next party. 19. 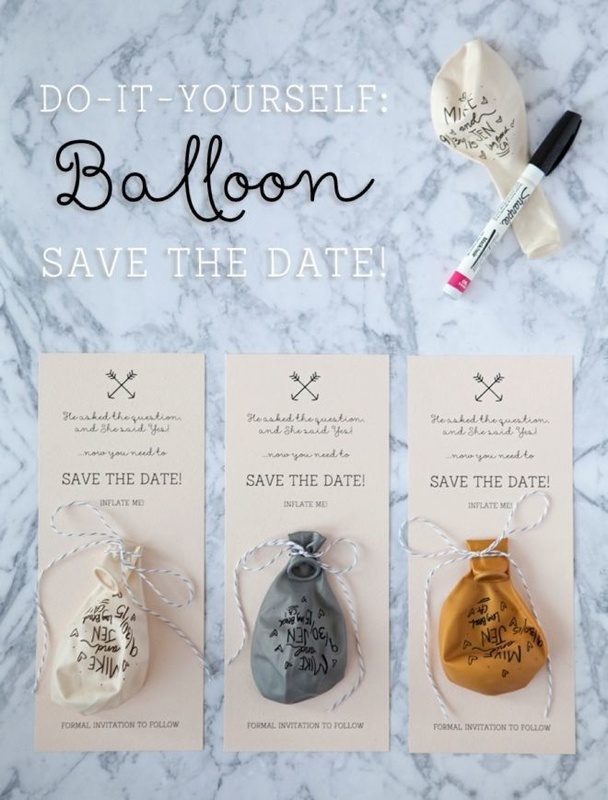 Save the date with balloons. These festive save-the-dates will definitely keep your special day at the forefront of your guest’s mind’s. 20. 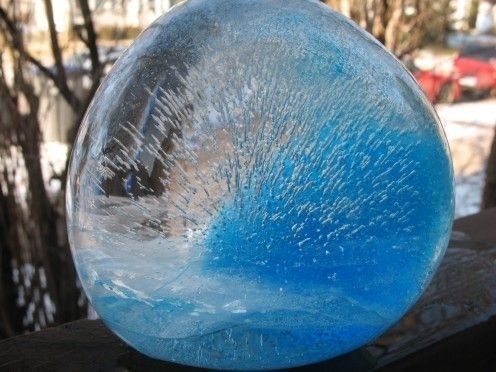 Make an ice bowl. 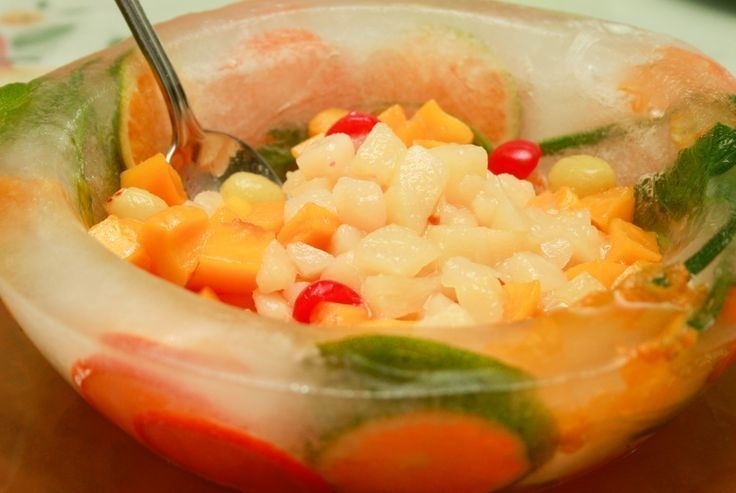 Keep that fruit salad chilled for the entire duration of the party. Plus, it looks pretty cool on a buffet table. 21. Paint on some autumn leaves. If this works as well as it looks like it does, it is absolutely amazing. 22. Wind some yarn ball ornaments. 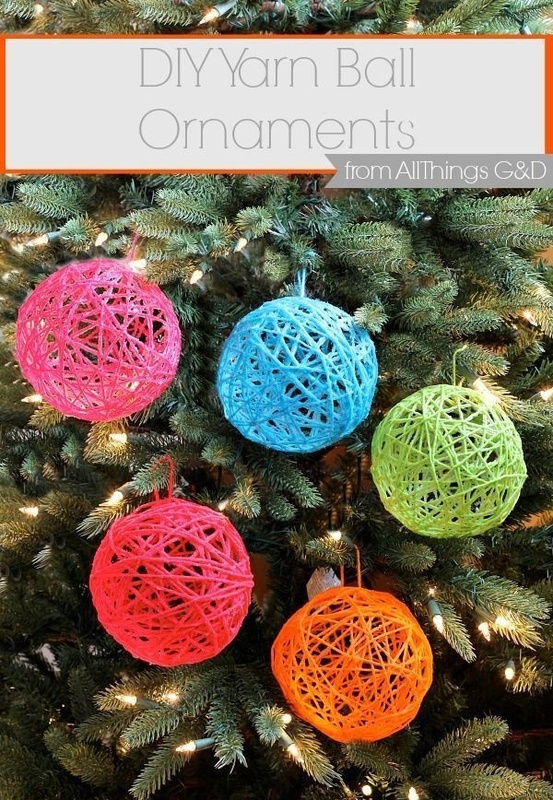 These will make your Christmas tree look especially twee and amazing. 23. Construct a classic balloon arch. The perfect entryway for any guest of honor. 24. Moody pendant lights for ambiance. These great lights were molded around balloons and then hung from the ceiling for a low-key vibe. 25. Paint up a DIY glitter bowl. We probably wouldn’t eat out of these (too much glitter in teeth), but they would look awesome sitting on your countertop. 26. 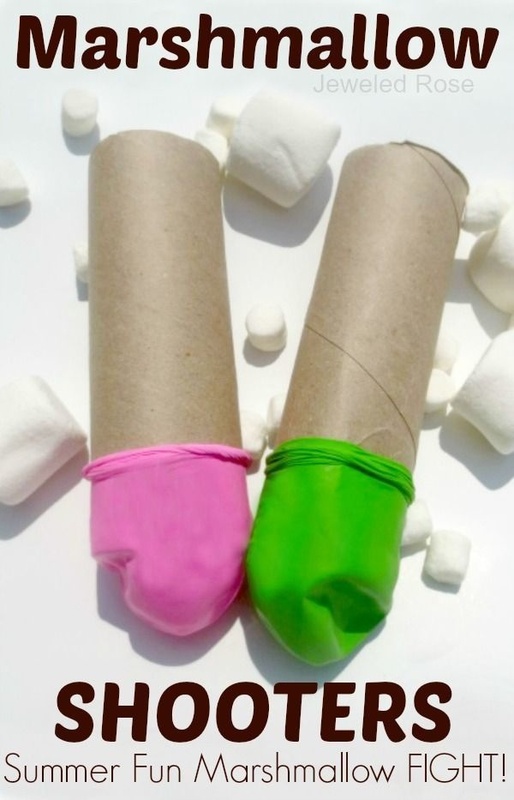 Use balloons to make marshmallow shooters. This will totally be a hit at your next children’s party.